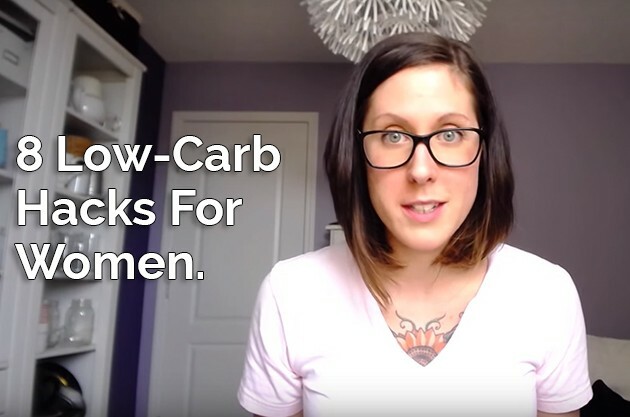 The 8 simple low carb, keto living hacks for women – intermittent fasting, hair loss, inability to sleep, dry eyes, cyclical ketosis, and building healthy gut bacteria. A YouTube-only video from January 2015. Now sharing it on the blog because there are a lot of tidbits in here! Never miss another YouTube exclusive video, subscribe to my YouTube channel. First off, I want to tell you that, if you’ve finished the program in the Keto Beginning, in my keto book, it’s time to play and start to understand what your body’s all about, and what your limits are. First, to that, is weighing yourself. The best time, at any time, is to weigh yourself in the morning. If you’re like me, and you had your Natural Calm before bed because I always have at least 2 servings of Natural Calm before bed, I always have to go to the bathroom in the morning, so go to the bathroom, weigh yourself, get on with your day. When to measure ketosis. There’re a couple of ways to measure, and I’ve talked about this in the Keto Beginning. There’s urine strips, blood strips, and breath strip. The best time to take your number, I find, is in the morning. Once you get used to feeling what it’s like, you don’t need to measure. You’re still benefiting from a low carb eating style, even though maybe your number is .2, or .7. If you’re eating low carb and feeling awesome, then you’re going to go through waves [00:02:00] where you’re in ketosis, you’re out of ketosis, and that’s totally fine. Don’t force yourself to eat. I get asked this question all the time. “I’ve reached the end of my day. I’m not hungry, but my ratios are all messed up.” Don’t worry about it. You did your best. Move on. What it also does is send a message to your adrenals saying, “Everything is good.” If you’re finding that, while you’re intermittent fasting, you’re starting to get a little bit anxious and nervous, and a little bit stressed, that’s probably because you’re adrenals are getting the message saying that things are not safe. Including those blended coffees, primarily fat based, will help with that. 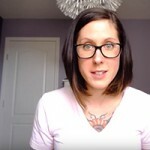 Because you’re using your adrenals, and the function of your adrenals, to maintain ketosis, you’re also using your liver to maintain ketosis, throughout your intermittent fasting experience, even if you are having that blended coffee, it’s super important to make sure that your liver and adrenals are healthy before you start intermittent fasting. If you lack sleep, you’re always exhausted, maybe you have psychological imbalances, or you’re working out a whole bunch and there’s a lot of stress happening in your life, it’s best to fix those areas before you intermittent fast. As I mentioned in the Keto Beginning, something that’s very helpful for your adrenals and your overall health is Himalayan rock salt. If you use Himalayan rock salt in addition to a high fat, low carb eating style with moderate protein, your body should naturally heal itself. Another question I get asked is hair loss. If you are not eating enough carbohydrates, you will lose your hair. Just make sure you’re eating enough carbohydrates. Around 50 to 75 [00:06:00] carbohydrates per day allows me to keep my gorgeous hair, and nice and shiny and awesome, and also stay in ketosis most of the time. Inability to sleep. Here’s another low carbohydrate issue. You want to make sure that you have enough glucose in your body that your body can still have access to it. If it does not, cortisol increases, which breaks down your muscle to release some of the glucose that’s stored in your muscle tissue, because protein can also increase your glucose levels. What happens is when cortisol increases to breakdown this muscle to then get the glucose that it’s missing from the diet, your cortisol levels are increased, therefore you’re not sleeping. The best approach to this is just make sure that you’re eating enough carbohydrates. Dry eyes, skin, and nails. Also, make sure you’re eating enough carbohydrates. Healthy gut bacteria. This is a cool one. Probiotics, for a lot of people, as well as myself, just don’t work. Something that I’ve been playing around with is using polyphenols to increase my healthy bacteria, so that would be things like high quality, good, good, good, mold free coffee. Blueberries are another good one. I usually have those at night. Chocolate, unsweetened chocolate also has polyphenols. You can also play around with resistant starches. I’ve been using sweet rice flower. Make sure that it’s sweet rice flower and nothing else. Specific forms of potato starch also have resistant starch as well as plantain flower and green banana flower. These have starches in them that go straight to the gut to help build up healthy bacteria. 1 last tip for building healthy bacteria, and also having beautiful hair, skin, nails, beauty, awesome, is collagen, grass fed collagen. The cool thing is that collagen doesn’t clump up together like gelatin, which means you can put it in practically everything, and you don’t even taste it. [00:08:00] Carb up days. In the Keto Beginning, I start talking about cyclical ketosis. I feel like this approach to cyclical ketosis, where you’re moving in and out, and in and out, is helpful for your body, especially if you’re like me and trying to boost your hormones throughout this whole experience and get the healthy body that we’re all after. I’ve tried 2 different types of approaches. 1 is every 7 days I eat 1 gram of carbohydrate for every 1 pound that I weigh, so it usually ranges between … I start around 130 grams to upwards of 150 grams, all healthy carbohydrates. Talking about extra guacamole, avocados, sweet potatoes, roasted vegetables, those sorts of things. More kale, maybe a smoothie with a bunch of greens in it, and so we’re talking healthy carbohydrates not packing in the sugar. The second approach to carb up days, or that cyclical practice of ketosis, is going on a protein fast. This is actually where you’re eating that same amount of carbohydrates, so for me it would be like 130 to 150 grams of carbohydrates in a day, still tons of fat, but no protein, less than 5% protein. What this does, it helps increase autophagy that is when the cells in your body help push proteins out of it for a cleanse. You really feel like you’re cleansing. The last couple of ones that I did where I wasn’t eating a lot of protein, by the end of the day I had a major headache, and by the next day I felt like I had drank 2 bottles of wine. There’re 2 different approaches. 1 is you just increase your carbohydrates; naturally you’re going to be eating more. This is a really good option if you have to do a major workout the next day. The second approach I found is more of a detox. This is, every 7 days you are eating less protein [00:10:00], a lot more carbohydrates, the same amount as the other option, and tons of fats. 2 very different ways of doing it. I don’t want to say which one I prefer because they’re both very different and kind of do different things. I think for health standpoint and where I’m trying to go I’m going to continue to do protein fasting for a little while, and see how that goes, but I definitely wanted to introduce you all to it so that you could test it for yourself and perhaps tell me which one that you like most. I will be helping all of you along as I go by continuing to share resources and guides and everything. If you don’t have a copy of my keto book, the Keto Beginning, you can get it on my website. I’ll include the link below this keto video, and if you have it, thank you so much for supporting my work and playing around with this eating style with me and learning about your body. I encourage you, if things don’t feel right, play, just continue playing and seeing what works for you, what doesn’t, and in the end, you’ll feel so much better because I know that I do. I’ve never felt this good in my life. Yeah, I hope that helps, and I’ll see you around. Bye.